Corporate Law, M&A, general business law, insolvency. Benoît Duvieusart has advised major international companies on the structuring of corporate reorganizations, mergers and acquisitions, leveraged buy-outs, private equity deals and group financings. He previously acted as Senior Associate in the Corporate Law – M&A Practice of Arendt & Medernach, a major law firm in Luxembourg. Prior to joining the Luxembourg Bar, Benoît was General Secretary and member of the Executive Committee of a Luxembourg private bank. He had previously got experience in investments funds, securities custody and administration and wealth structuring in one of the major Luxembourg banks. 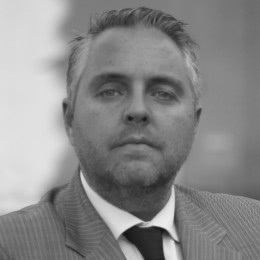 He is a member of ALFI, the Luxembourg Investment Funds Association, of ILA, the Luxembourg institute of Directors, and a founding member, and director until 2006, of the Luxembourg professional association of portfolio managers (ALGAFI). He is an occasional lecturer at the IFBL, the Luxembourg banking education institute. Benoît Duvieusart holds a Master’s degree in law from the Université de Louvain-la-Neuve (UCL) (Belgium) and an LL.M. from the University of Cambridge (United Kingdom). Languages : English, French, Dutch and Spanish. duvieusart ebel, avocats associés is an independent and dynamic Luxembourg law firm that combines recognized experiences in Corporate and M&A, Investment funds, Tax, Regulatory and General Business law. d&e aims to build trustful and long lasting relationships, allowing it to maximise added value.